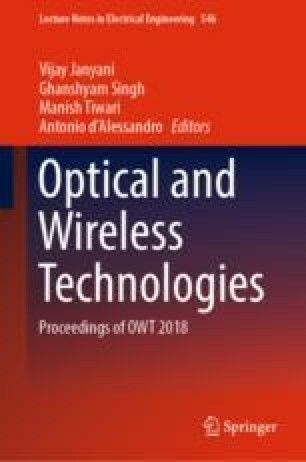 In this paper, we have proposed an all-optical OR and NOR logic gates which is based on Plasmonics metal–insulator–metal (MIM)waveguide. MIM waveguide has the inherent feature to confine light far beyond diffraction limit. Therefore, the structure can be designed with miniaturized size. The performance of the device (gate) is measured by a quantifying parameter which is known as contrast ratio. The proposed NOR logic gate offers a contrast ratio of 12.36 dB for Boolean logic gates of output. The proposed structure opens a solution for future all-optical computing. The optical logic gates are investigated using finite-difference time-domain method.